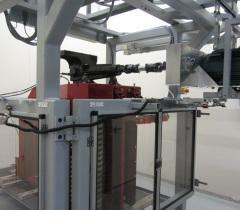 See the fast and accurate First Article Inspection machine...click below. 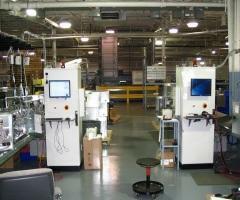 OMNI provides end-of-line system testing products and full turn-key product design services. Our experienced staff has brought test and design solutions to the HVAC industry, the medical industry, the automotive industry and the agricultural industry. Our test solutions feature simple user interfaces to aid production personnel, flexible debug modes for product analysis, and networked data collection and reporting for detailed quality analysis. With extensive experience in SCADA packages such as LabView and Wonderware, automation software and hardware, native languages such as C# and database programming, we bring complete automated and semi-automated solutions to the production floor. Because of our extensive background in CAN communications, our agricultural and automotive developments are particularly effective and efficient. Our design solutions include comprehensive micro controller, instrumentation electronics, power electronics and RF experience. Our staff of design engineers with experience levels as high as 35 years bring thorough and efficient designs to production which are within budget and on schedule. Our capabilities also include tooling and industrial design along with complete project management processes and complete design documentation. OMNI provides custom designed and built test racks/fixtures providing handling, analysis and reporting of conditions and parameters relating to system components under test. Shown above is a battery analyzer for a medical application. OMNI provides custom designed and built test racks providing GUI, control, analysis and reporting of conditions and parameters relating to the system under test. 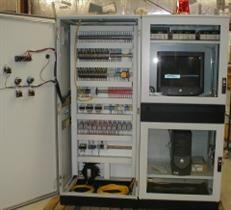 Shown above is a HVAC end-of-line test stand. OMNI provides custom designed and built test racks/fixtures providing handling, GUI, control, analysis and reporting of conditions and parameters relating to the pcb under test. 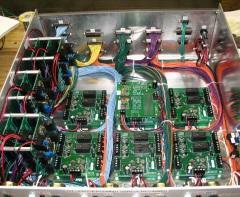 Shown above is a pcb end-of-line tester for a family of boards in a medical product. Copyright 2012 OMNI Engineering Services Inc.